I’ve been having under eye fine lines for years and it’s only recently that I’ve got them under control. You may have seen my previous post on the Belif Peat Miracle Revital Eye Cream, how it has improved my under eye fine lines dramatically. 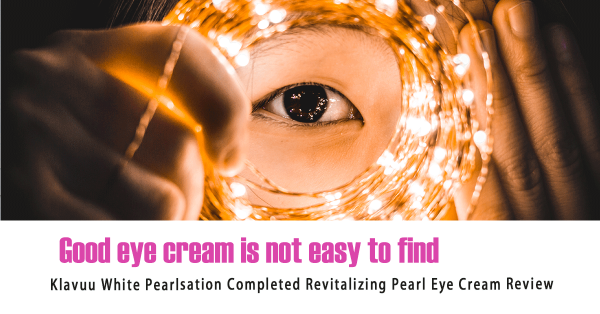 In this post, I’ll share with you another eye cream product that I’ve been using lately and some useful tips in protecting and hydrating your under eye area, to get rid of those fine lines. It takes time. Those lines didn’t form in one day and won’t disappear in one application of a magical cream. But if you continue to care for it, it will eventually be flattened. The time it takes will depend on how strong your skin’s regenerating ability is. Think if you’re in your 20’s, it’ll be much easier to get rid of them than if you’re in your 40’s. Prevention is MUCH easier than cure. Start protecting your eye area as early as you can. I started noticing I have under eye fine lines since I was in my early 20’s, so it’s not too early to start prevention even in your mid-teens. Hydration is key. Fine lines are due to dryness. If you keep your under eye area always moisturised, then they won’t appear or existing ones will start to fade. How to hydrate? Put on an eye cream or an oil to prevent water loss. When to hydrate? Whenever you can. I mean whenever. eg. When you doing a mask that your eye area is not covered or when you step into the shower after cleansing your face. Use products that are potent in anti-aging and skin regenerative ingredients. The effects of these ingredients are non-negligible. In fact, a good anti-aging eye cream is the best way to visibly reduce fine lines. Whether you can completely get rid of them, I don’t know. I have improved my fine lines a lot, but I haven’t completely gotten rid of them. I’m continuing to protect it, so at least it won’t get any worse. The very last stage is always the most difficult. A good eye cream is essential to bring the skin back in time. It should have a nourishing and protective consistency, to nourish, hydrate and prevent hydration loss for a long period of time. It should also contain effective anti-aging ingredients at a concentration that delivers visible results. Belif Peat Miracle Revital Eye Cream is a good one that I’ve been loving and has shown dramatic effects in reducing the fine lines I had. But it’s difficult to obtain and slightly pricey. Another one that I’ve been using lately which is equally effective is the Manyo Factory 4GF Eye Cream. This 4GF Eye Cream from Manyo Factory contains 20% 4GF, growth factors that stimulates the cellular growth and regeneration, which is the key to diminish fine lines. The eye cream has more of a moisturiser or gel-cream type of consistency. It’s thick enough that it provides enough hydration and protection to the eye area, but not too thick that becomes difficult to blend. It sits very well under makeup, so I can use it day and night. The ingredients list is free of nasties and full of anti-aging goodness such as Bifida Ferments and peptides. It’s fragrance-free but has a slight scent from the essential oils and plant extracts. The application of the eye cream is effortlessly smooth. 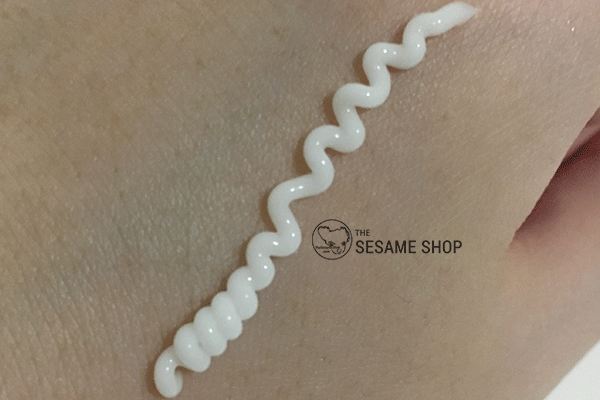 The cream glides on like a dream, absorbs easily into the skin, leaving it soft and moisturised. Because it’s more reasonably priced, I feel I could use more of it and not hurting my pocket too much. The results have been amazing. My under eye fine lines have been continuing to diminish and the under eye area is always soft and moisturised. I’ve used Trilogy Rose Hip Oil for quite some time to simply keeping the eye area protected when I’m doing a mask or in the shower. The idea is never let your under eye area dry, because whenever it’s dry, it’s likely to deepen those lines or have new ones forming. I haven’t seen a lot of effects in the fine lines diminishing, probably because the oil doesn’t have sufficient skin regenerating power, but it definitely helps with lines not developing by keeping the skin moist. The main benefit of using an oil versus an eye cream is that these oils are relatively cheap, and if you’re doing something that needs to be washed off, there is no point in wasting your expensive eye creams. There are a few different types of eye masks in the market, including pre-soaked sheet ones, hydrogel and wash-off types. 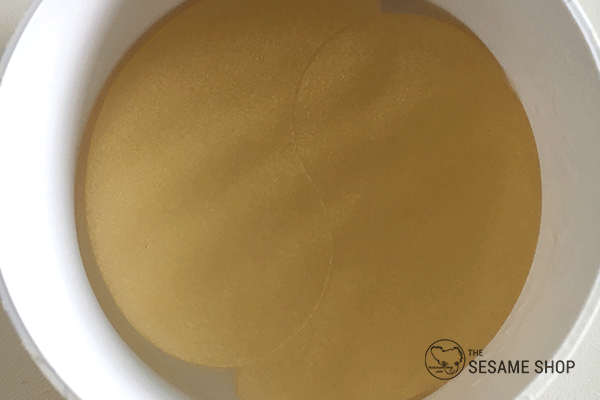 Today I’d like to focus on the hydrogel ones that you get in a tub, like the Petitfee Gold Hydrogel Eye Patch. I don’t recommend the actual Petitfee brand, because it contains alcohol, paraben, fragrance and mineral oil, which are all ingredients that I tend to avoid. But I had one at hand and have been using it for quite some time, which has helped the diminishing of my fine lines. The function of these hydrogels is to keep the eye area moist for a continuous period of 20+ minutes. I normally apply a slightly thicker layer of the 4GF Eye Cream and put the hydrogel on, so that the eye cream can better work its magic. Using the hydrogel alone will not see dramatic effects because of its lack in any meaningful skin regenerating ingredients, but pairing it with a good eye cream will help enlarge the effect of the eye cream. The process is surprisingly convenient. I often use it when I’m doing a sheet mask or a wash off mask, or when I’m in bed. 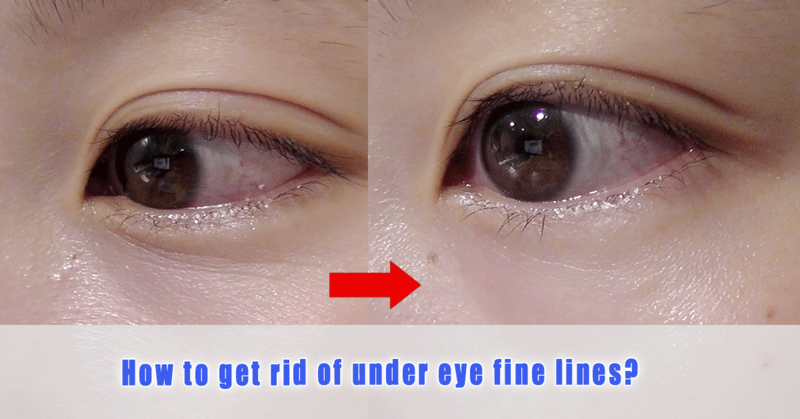 It is possible to get rid of under eye fine lines. You just have to take care if it, hydrate and nourish it as early as possible. Invest in an effective eye cream with skin regenerating ingredients. And if it’s already in a not so good condition, you’ll need to take EXTRA care of it. It’s not rocket science, but needs love and patience, just like anything worth protecting in life. This entry was posted in Skincare and tagged anti-aging, eye care, Eye Cream.